How well can a person eat on $4 a day? The answer, shared by Leanne Brown in Good and Cheap, is surprisingly well: Broiled Tilapia with Lime, Spicy Pulled Pork, Vegetable Jambalaya—even desserts like Peach Coffee Cake. Good and Cheap began as Brown's NYU master’s thesis exploring whether it’s possible to eat well on a SNAP/food stamps budget and quickly went viral when she uploaded a free PDF to her website. 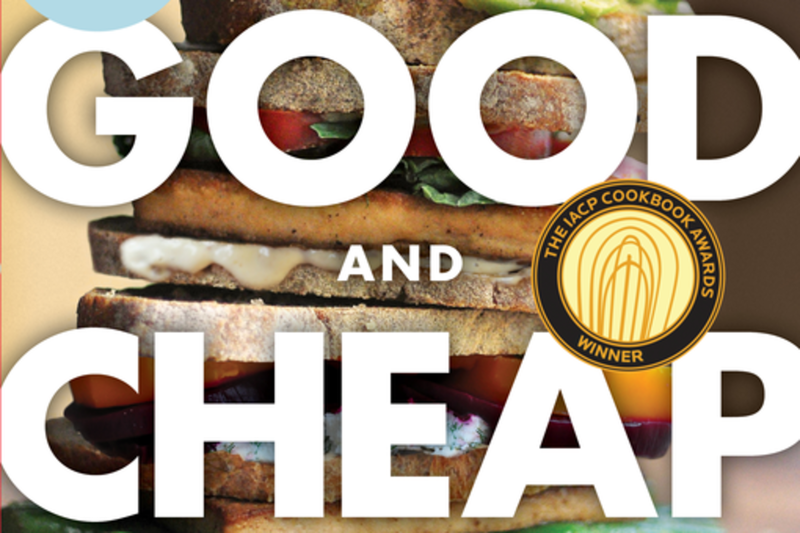 The book shows that kitchen skill, not budget, is the key to great food. Today, that PDF has been downloaded over 900,000 times and luminaries such as Mark Bittman and Michael Pollan have praised Brown's efforts to provide guidance and support to people on extremely tight food budgets.